Dream Builder. It's a description few homebuilders can honestly aspire to, and even fewer actually achieve. Add to this both Developer of the Year and Builder of the Year honors, and the title is clearly well deserved. Now in its third generation of family ownership and management, the Moceri Companies has consistently exceeded the housing aspirations of generations of customers with unmatched consistency. That legacy, cultivated by shaping residential environments of unrivaled grace and comfort for more than 40,000 Michigan families, endures today as the industry benchmark. 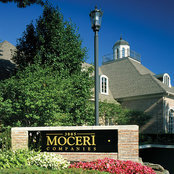 Built on the cherished principles of STRUCTURE, INTEGRITY and TRADITION, the Moceri family established itself as a skillful designer, land planner and builder in the 1950's with its inaugural development in Grand Blanc, Michigan. Today, the designated Master Builder continues to fulfill that early promise by setting the standard for homebuilding excellence in the 21st Century. Moceri's skills have never been more evident than at its newest, most luxurious, master planned communities: Stonewater in Northville and The Oaklands in Oakland Township. Each has been awarded the prestigious Development of the Year honor. In both communities, Moceri's clear vision, Old World craftsmanship and meticulous attention to detail once again place the dreams of the most demanding buyers within reach. 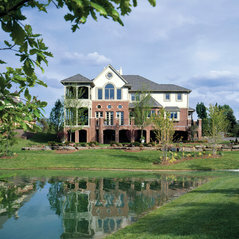 We built with Moceri Homes. The quality was excellent. In addition the customer service was superior...building is a process and they walked us through every detail. Moceri Homes does excellent work. They built my current home in their Kingsridge Reserve development, and we love it. 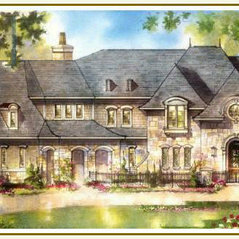 The plan is elegant and displays true craftsmanship!